'U' Bends can be Heat Treated in accordance with clients' requirements followed by hydrostatic testing and dye penetrant testing if required. 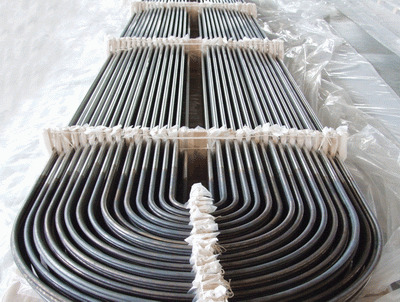 U-bent stainless steel tubes are widely used in heat-exchanger systems. Heat-exchanger equipment on the basis of seamless stainless U-tubes is essential in strategically important and critical fields - nuclear and petrochemical machine building.